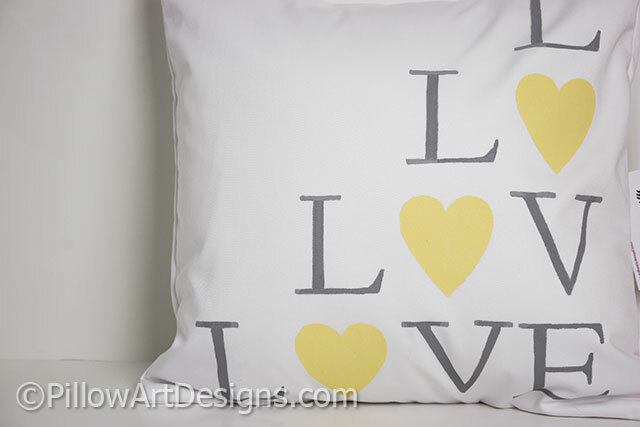 Grey Yellow White cotton pillow cover with word Love painted in grey with yellow hearts graphic. 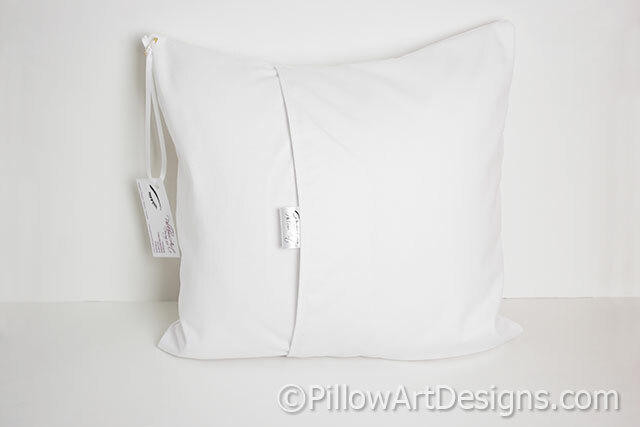 Made to fit a 16 X 16 inch pillow insert (not included). Outer fabric white cotton twill, fully lined with white cotton polyester. 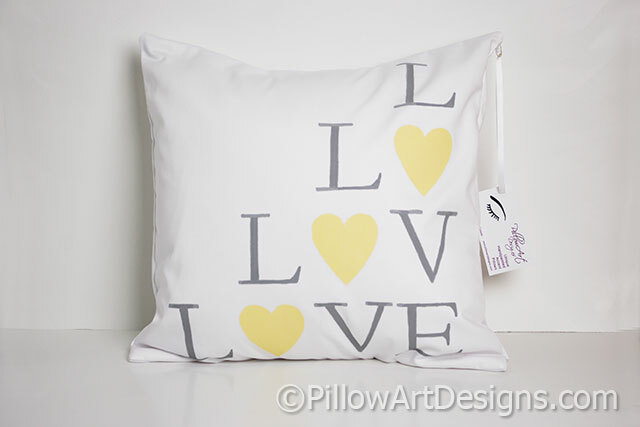 Like this design, but need a different size or colour? Contact me here, I can make one just for you!